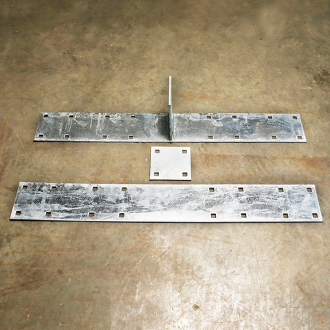 Splice Plates are designed to join two side stringers together to make longer dock sections. The flat plate is used on the outside of the stringer, and the T plate is used on the inside of the stringer. The T plate will attach to the cross stringer as shown. Set includes a flat plate and a T plate.